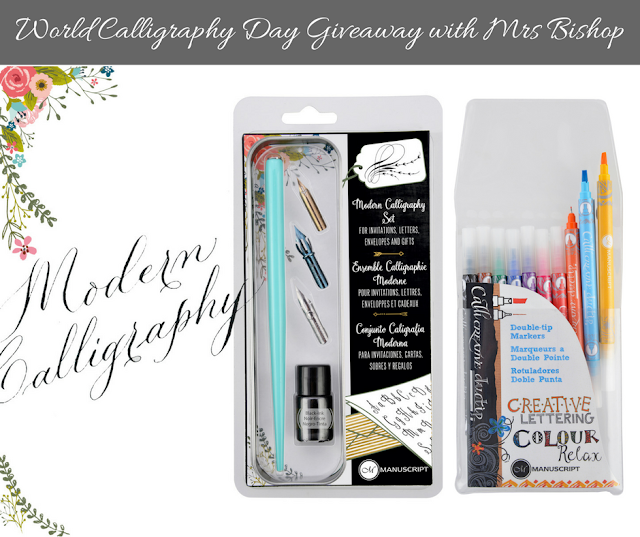 Mrs Bishop's Bakes and Banter: World Calligraphy Day with Manuscript PLUS a Giveaway! World Calligraphy Day with Manuscript PLUS a Giveaway! 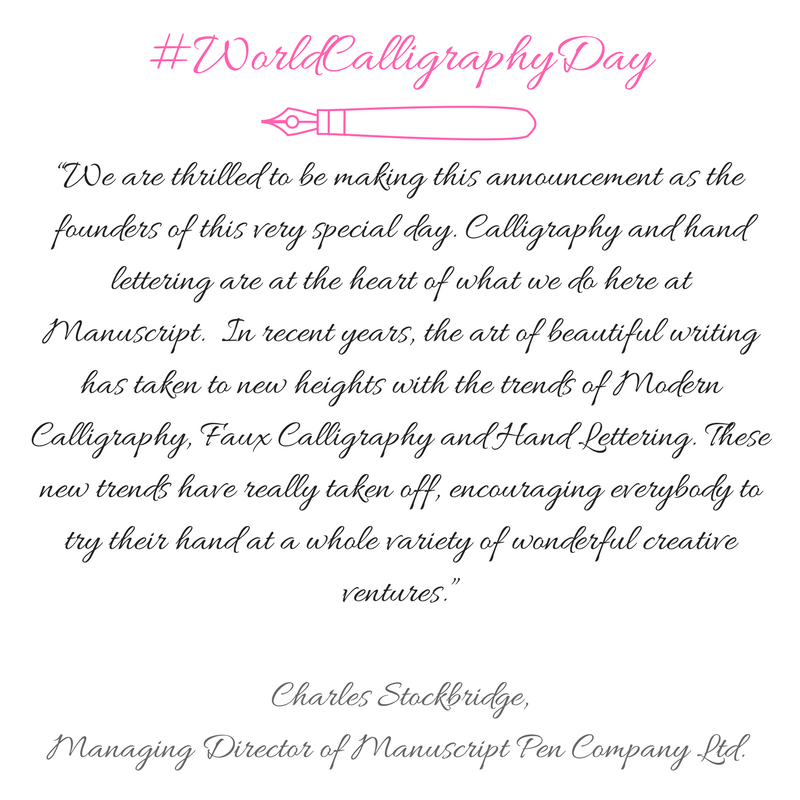 Manuscript Pen Company are delighted to announce the first ever World Calligraphy Day today (16th August 2017) with events and workshops taking place around the world and predominantly at the Pen Museum, Birmingham. Since 1856 Manuscript Pen Company Ltd has been connected with the pen trade and in the forefront of pen nib manufacturing and design in the UK. World Calligraphy day is the celebration of the history, penmanship and progressive product development and all things calligraphy related. Join Manuscript Pen Company to celebrate the art of calligraphy and hand lettering in the heart of Birmingham’s Jewellery Quarter. Hosting the event, the Pen Museum welcomes Manuscript and a whole host of world renowned creative artists to celebrate calligraphy and hand lettering trends. Explore the Pen Museum and learn about the many pen companies of Birmingham and the history of the trade starting from quills and dip pens to the modern day fountain pen. Step back in time and try your hand at creating your very own steel pen nib using traditional machinery. And whilst there are a whole host of history on display in the Pen Museum, visitors are being encouraged to bring their own writing instruments to find out more from expert Jeremy Collingridge, as the Librarian of the Writing Equipment Society casts his own expert eye over pens both new and old. Whilst pen specialist Jeremy fills in information about writing instruments from around the globe, crafty hands can take part and learn from the experts in designated workshops and demonstrations on the multitude of different writing styles taking the world by storm! Try our different types of writing instruments and find the pen for you. Whether you are an expert, a beginner who’s just getting started or simply an admirer of beautiful writing, come and join Manuscript and your favourite artists including Modern Calligrapher Joyce Lee of Artsynibs, Graphic Designer and Calligrapher Alice Mazilli of Ampersand Alice, Artist, Designer and Letterer Rob Draper, Traditional Calligrapher Stephen Duckett, Contemporary Italian Calligrapher Sandro Bonomo, Handwriting Specialist Sandra Grayson and many more at this free event from 11am – 4pm. 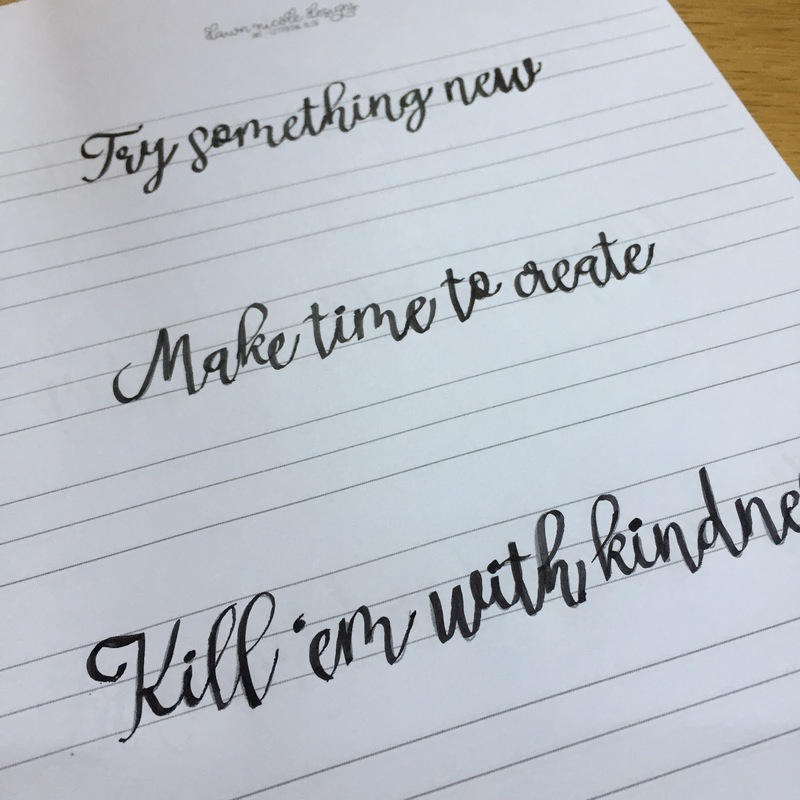 I've always wanted to have a go at calligraphy - I'm a very artistic person, and have long admired beautiful hand lettering and especially love the new-wave of modern calligraphy, so I was eager to give it a try. The lovely people at Manuscript sent me an awesome kit of Calligraphy pens to get me started, and I found some brilliant free to download practice sheets from Dawn Nicole Designs to get me started. I loved these motivational practice sheets, it's so therapeutic tracing and then copying underneath once you've got the idea. It's actually so much harder than it looks, I need lots more practice that's for sure! One of the things I miss most since becoming a Mum of two and running my own business is the lack of creative time I have - I used to regularly do crafty bits and pieces, make gifts for people, sewing, crocheting etc... 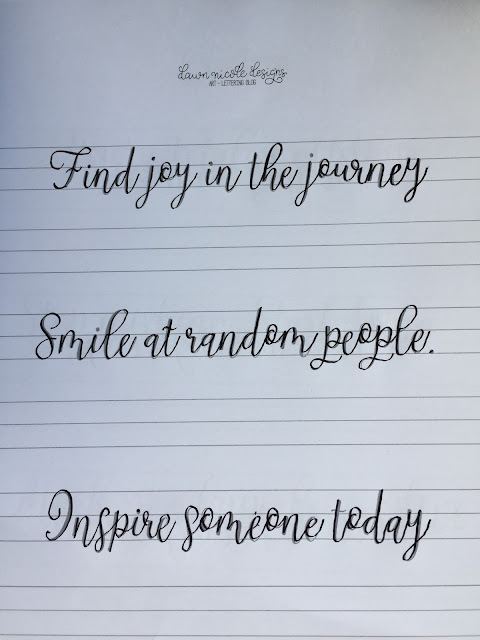 I just don't make much time for that sort of stuff at the moment - but sitting down and playing with my calligraphy pens made me realise how much I missed it. NOTE TO SELF: I must try harder to set aside more time for creating. I've also been using the Calli-Creative Duotip pens from Manuscript which come in 10 different colours. As the name suggests each pen has a duo tip with one end being a fineliner and the other a chisel tip. 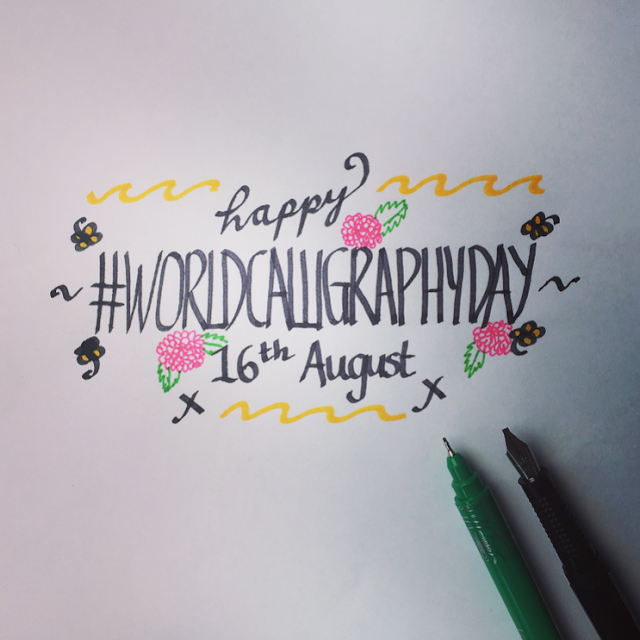 Don't forget to share your own beautiful letters with the hashtag #WorldCalligraphyDay and #ManuscriptWCD. 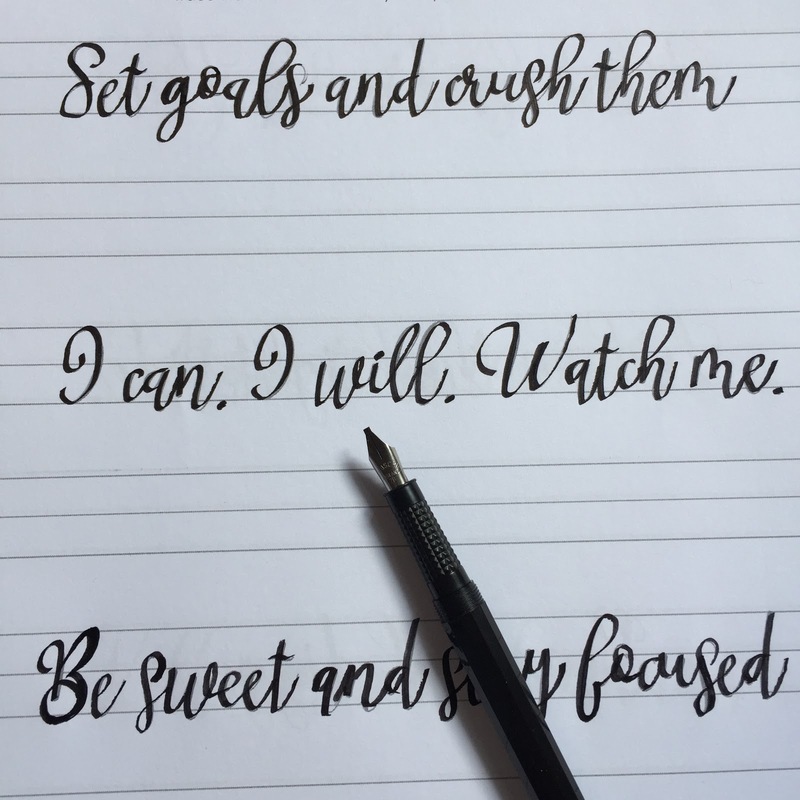 If you'd like to get your hands on your own fab set of calligraphy pens from Manuscript then enter my giveaway in the Gleam app below. Entries are for UK residents only and ends at 11.59pm on Wednesday 13th September. 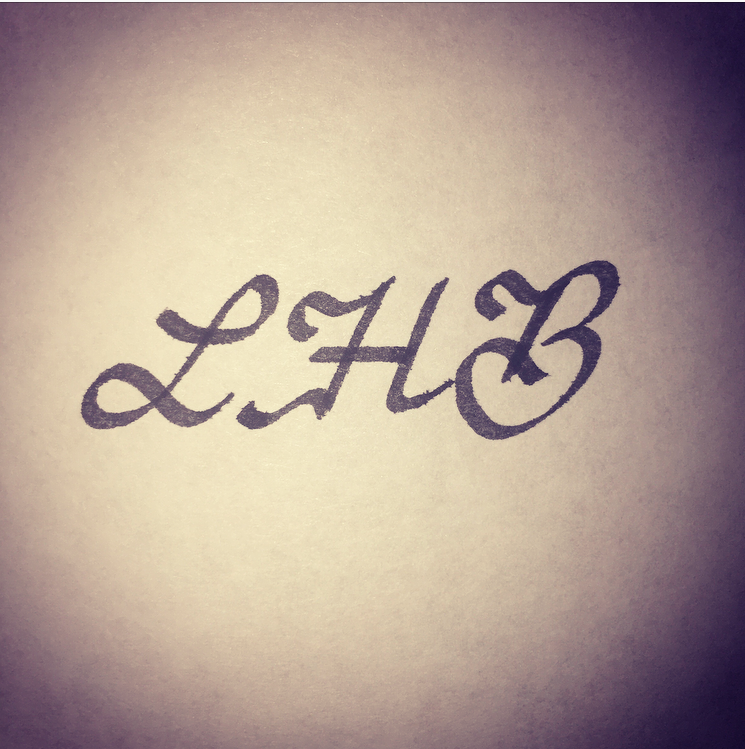 LHB - My initials in a freestyle calligraphy! The calligraphy day of the world is really a great day for the writer and so does the all types of people who love the writing and so on. this site will give you some handy tips and guide to write your term and others academic papers. First of all Happy World Calligraphy Day to you and the followers who just click to click to read information on this blog. The Calligraphy is art to show his talent to the peoples.